The Corridor is ideally located in North Central Iowa halfway between the Twin Cities and Des Moines, Iowa along Interstate 35. The region consists of Mason City, a community of 28,000 residents and the regional hub of commerce, Clear Lake, a community of 10,000 which swells during the summer months as seasonal residents and tourists arrive, and greater Cerro Gordo County. 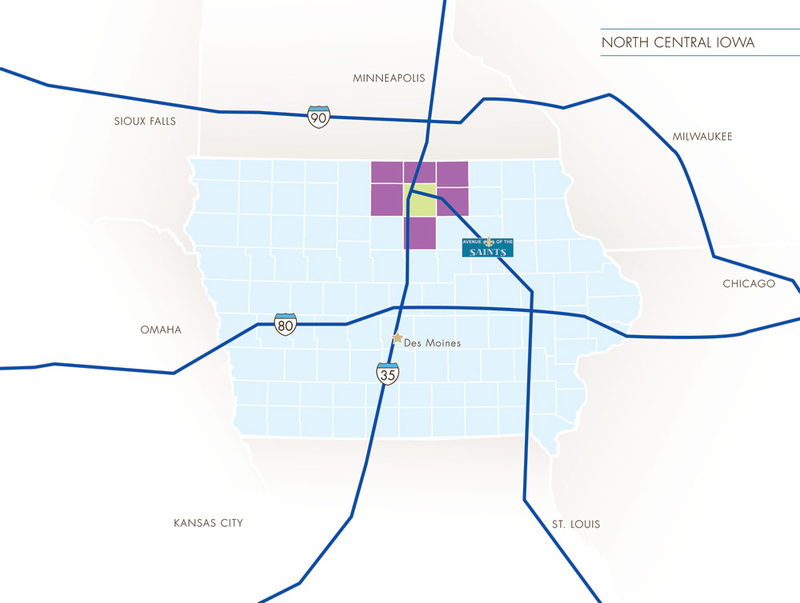 In total, the North Iowa Corridor market encompasses approximately 50,000 people and is the regional center of gravity for North Central Iowa.